Daniela and Chris Shelton breathe life into fanciful and imaginative critters while recycling other people's cast off clothing and other trash. 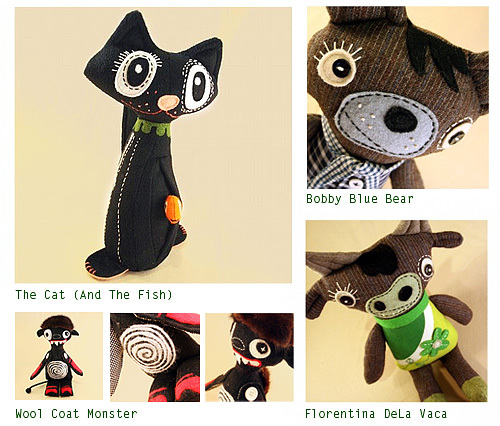 While we have started to see a trend of artists going green and using recycled materials, Daniela and Chris have really transcended their materials to create as they cleverly name it – feel-good gifts, full of whimsy and evocative of earlier times. To view more of Daniela and Chris's creations, please visit their online store – Hasenpfeffer Incorporated. 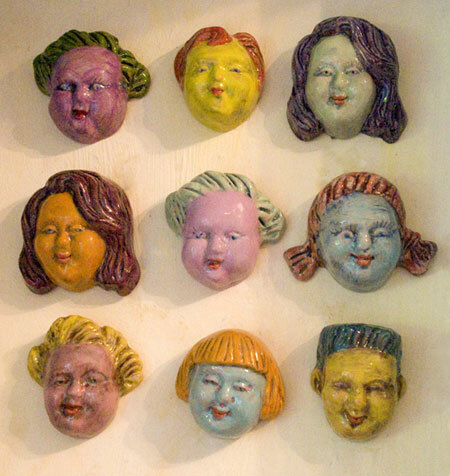 These diminutive and charming wall hanging sculptures are designed and handcrafted by Peter Lu and Gerrie Walker from Sebastopol, California. They call them Amorini, which translates to "Little Loves" from Greek mythology – cupid's silly and sublime younger brothers that were reintroduced into painting sculpture and decorative arts during the renaissance. 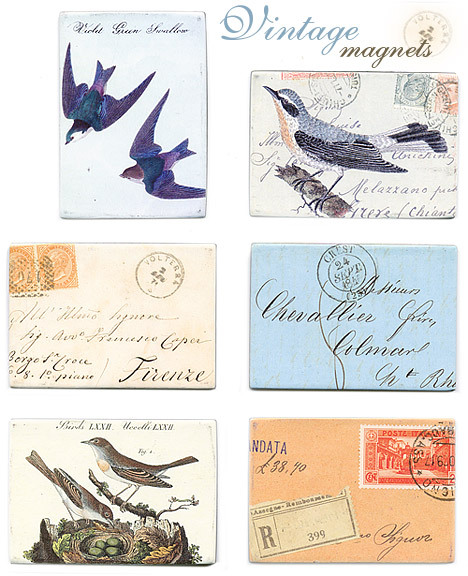 We found these magnets with a vintage look, size 2.5" x 1.75", at Paperwhite. Paperwhite is located in the beautiful California wine country town of Petaluma, about 35 miles north of San Francisco in Sonoma County. At Paperwhite, you can find interesting letterpress cards, note books, wrapping papers and many other unique paper goods. 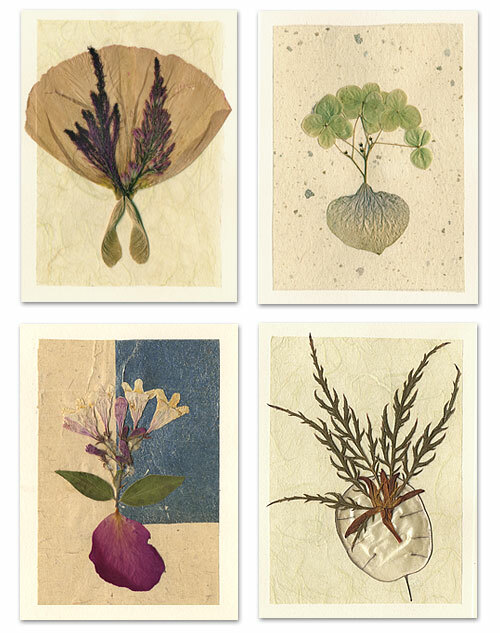 Over the weekend we found some delicate handmade note cards made with the pressed flowers and leaves of California native plants. These are just four of the many natural beauties available. Card size – 4" x 5.5", blank inside. 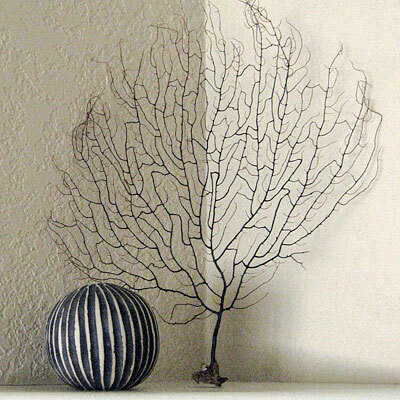 By Jan Kalyani Lochner, Sebastopol, California. These kitchen mats caught my eye at Baksheesh (located in Sonoma, Healdsburg, and St. Helena, CA). They are handmade by the Women's Multipurpose Cooperative in Baguio City, Philipines. 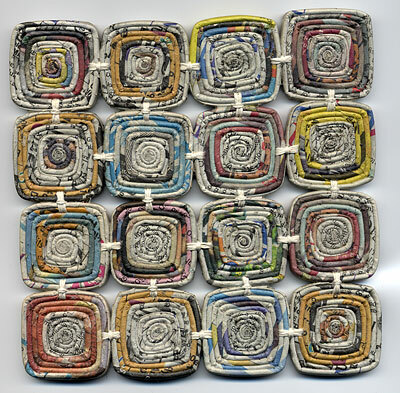 Not only visually interesting, the mats are environmentally conscious because they are made of old newspapers. 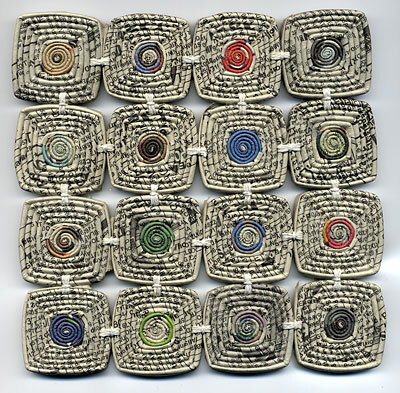 Their innovative process involves wrapping the paper into coils and forming them into spiraled square building blocks. The products are starched to make them hard and shiny and have been tested to stand up to heat and moisture.